I know its somewhat of a longshot, but do i have a chance? Rank: Probably number one in class. the people in my school are not very smart. Extracurriculars: I was asked to set up stopwatches for the event and did a very good job. Three did not work, but they still thanked me. Also, I am president of the club. Essays: I wrote my personal essay about how I saved my friend's when he was drowning. I said that his family was so thanking for me. I also talked about how I became the smartest person in my school. My other essay said that i want to be a doctor because i want to have a good lifestyle and be able to send my kids to good schools and have a comfortable lifestyle. 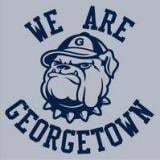 i said that georgetown is a good fit for me because it has a good reputation.